Flora Rosefsky is exhibiting in this WCA-JWAN show, which is part of the WCA National exhibition “Transforming Community “ exploring Access, Community Art, Disability, Diversity, Ecology, and Spirituality. The exhibition takes place at the Westbeth Gallery at 55 Bethune Street in New York City from February 7-22, 2015 with an artist reception on February 14 from 6-8pm. 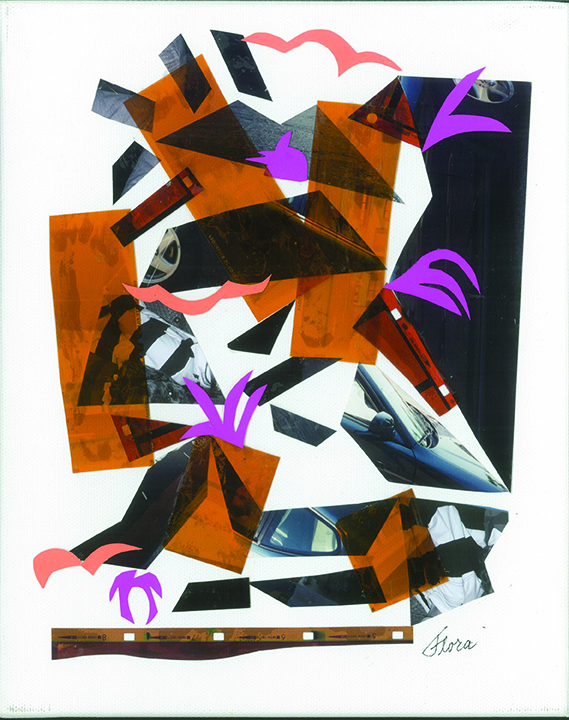 One of Flora Rosefsky’s collage works in a series of three, Invisible no. 1, is part of the JWAN exhibit. Her collage uses paper, photograph and negative cutouts. According to the artist’s statement, the work expresses tangible reminders of disabilities like wheelchairs, canes, prosthesis which become invisible. What we see is a person living a full life in the moment. We appreciate their inner joyful spirit and all the things they do to live a fullfulling life. Jewish tradition teaches us to conduct “gemilut hassadim”, “acts of loving kindness” – accepting people for who they are within. In the call for art for the JWAN exhibit, the following words from Torah gave inspiration to developing the theme. ‘You shall not curse the deaf or put a stumbling block before the blind, but you shall fear your G-d: I am The Lord.’ (Torah, Leviticus 19:14) Exploring disabilities from the Jewish perspective gave participating artists the opportunity to reflect more deeply on the disability issues that affect so many of us. Jewish Women Artists Network (JWAN) is a special interest group comprised of Jewish women artists, part of the Womens Caucus for Art (WCA), with the purpose of exploring art from a Jewish perspective as well as networking and socializing with other Jewish artists.